Without further action, the World Wildlife Fund projects a 60 percent loss of the world’s coral reefs. 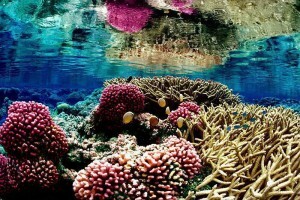 Climate Change is one of the biggest threats to coral reef ecosystems. As oceans take in greater amounts of CO2, water becomes more acidic, making these fragile ecosystems more vulnerable to collapse.